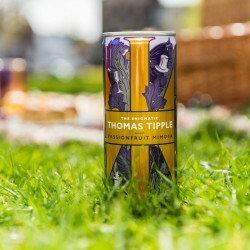 A premium brand of pre-mixed cocktails in a can. Thomas Tipple was born in the creative minds of a certain Hammersmith-based agency to reflect all things British that his creator wanted him to embody. His philosophy is to celebrate and savour life. For its inaugural range of drinks, he chose celebratory champagne inspired recipes of Raspberry Bellini and Passionfruit Mimosa. Made from sparkling wine, these cocktails are delicious and fresh drinks to be enjoyed during a picnic in the park or on a commuter train. 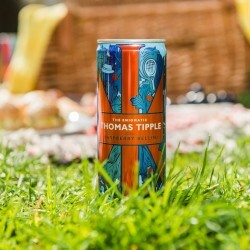 Thomas Tipple wants to provide a light, fresh & special indulgence, whatever the occasion or wherever the place.